Welcome to another Dagmar’s Home link party. If you are here for the first time — hello, hello! 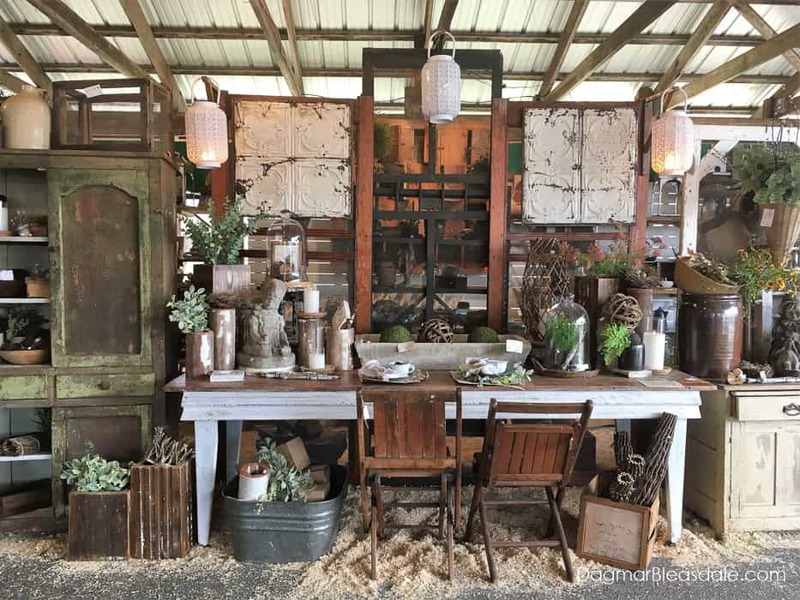 This weekly link party used to be for sharing thrifty or vintage finds, because I love everything thrifty or vintage, but I opened it up for all kinds of posts. I like seeing them all! If you have been visiting my blog for a long time, you know that I still like to show you my latest thrifty or vintage finds. Here is another item I found while I was shopping at the Country Living Fair a couple of weeks ago. 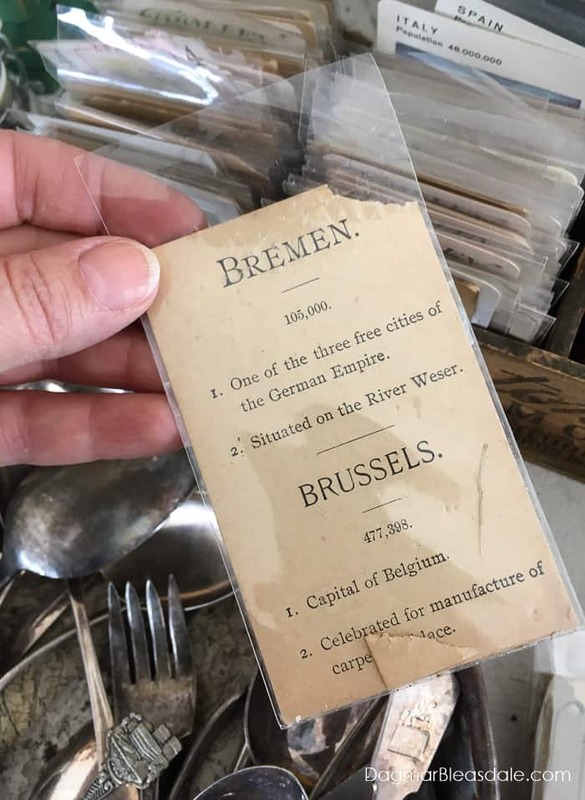 I was looking through some vintage paper goods and cards and wouldn’t you know — I again found something from Bremen, my hometown! Two years ago I found a postcard with a picture of a park in Bremen at the fair, and this year I found this vintage card. This card was one of four that were for sale about different places in the world, and little Bremen also had a card. What are the chances. It is so odd how often I come across items from Bremen during my trips to flea markets. Remember this Beck’s beer sign, which was originally made in Bremen? Or this little silver cup? I always feature my favorite post the following week, so if you are interested in being featured, please link back to this post. 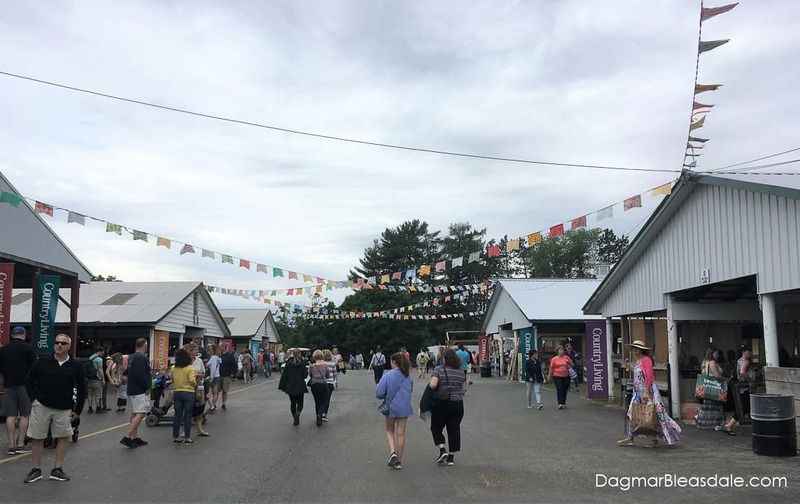 I decided to highlight Kathy’s post, who blogs at A Delightsome Life. She wrote about spray painting bottles to make Sea Glass Paint Bottles. I have vintage bottles that look similar, but I love this idea of upcycling regular glass bottles into pretty sea glass paint bottles. Thanks for sharing your post with us, Kathy! Feel free to add this “Featured” button to your post or blog. If you weren’t featured this week but would like to be, just link up the same post again, and any new ones. Please link back to this post. If you want to get featured, please link back to this post so others can be inspired to join in the fun. Only posts with a link to this party will be considered for a feature. No links to giveaways, or shop or Etsy sites, please. By submitting a link you are authorizing for your project to be featured. Featured links will include a photo and a link back to the originating site. I can’t wait to see all of your posts! And I would love it if you’d let other blogging friends know about this party. How exciting it must feel each time you find a little piece of home! That’s wonderful, and the opening photo is drool-worthy! THank you for hosting, Dagmar. We’ve update our booth spaces for summer, and so I’m sharing a glimpse today. Happy Summer Solstice! Love all your Bremen finds! I live 20 min. away from a small town Bremen in Indiana. Wish I could find things from Muelheim/Ruhr where I lived before moving here. 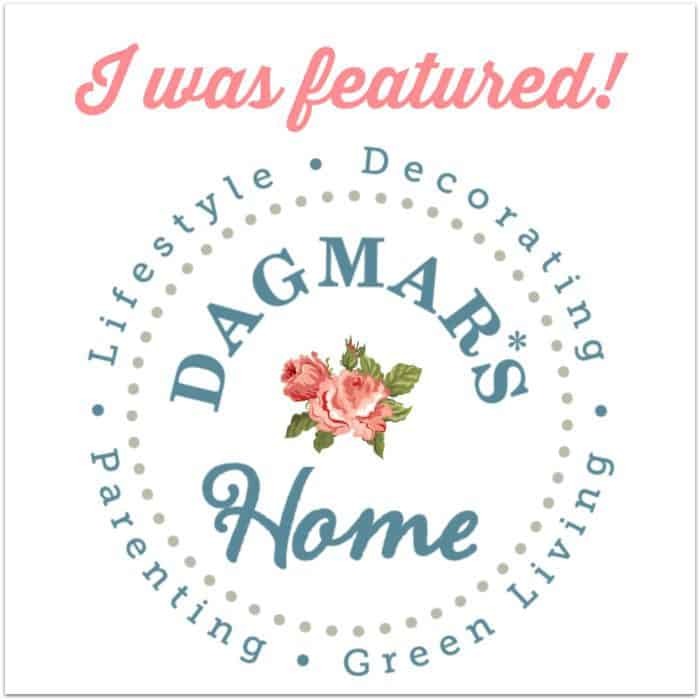 Thanks for hosting and have a wonderful day, Dagmar!